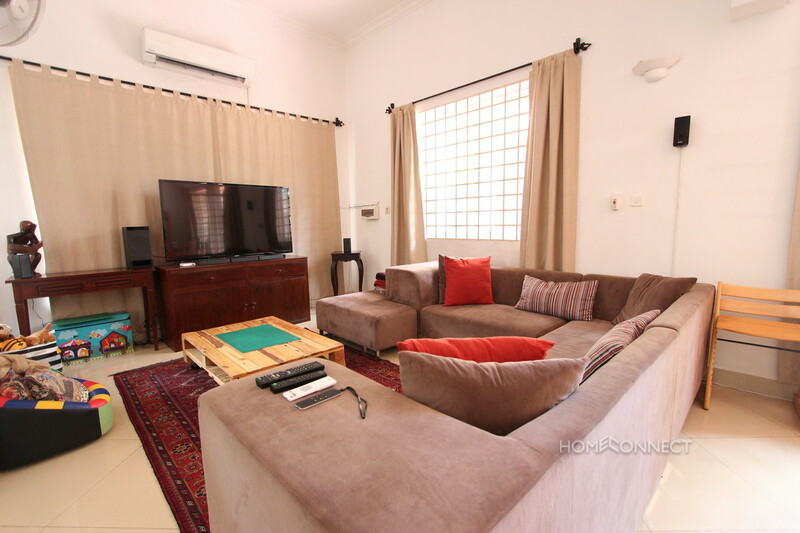 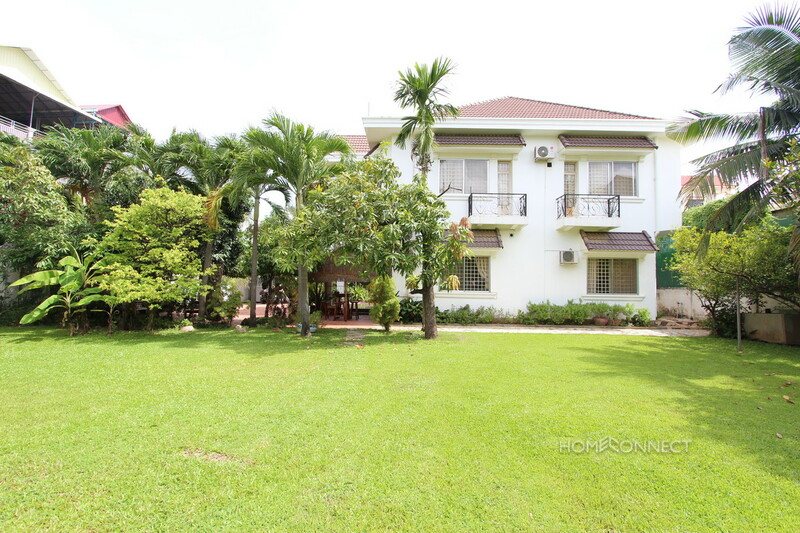 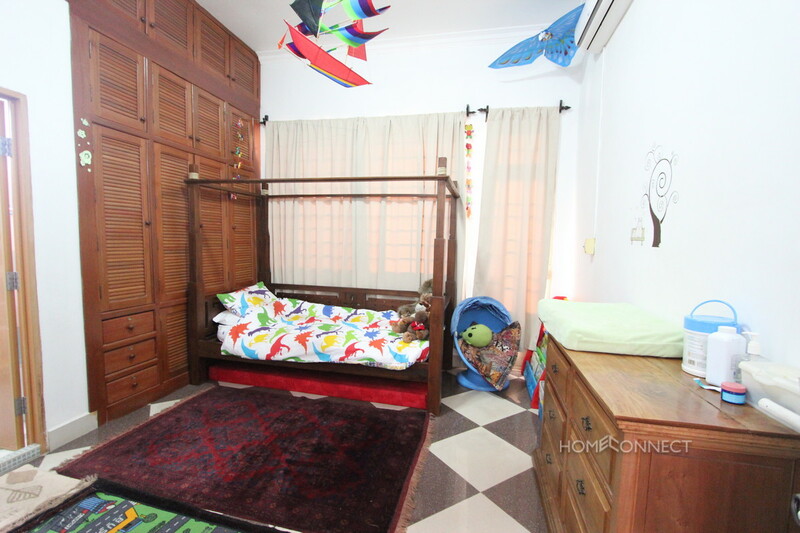 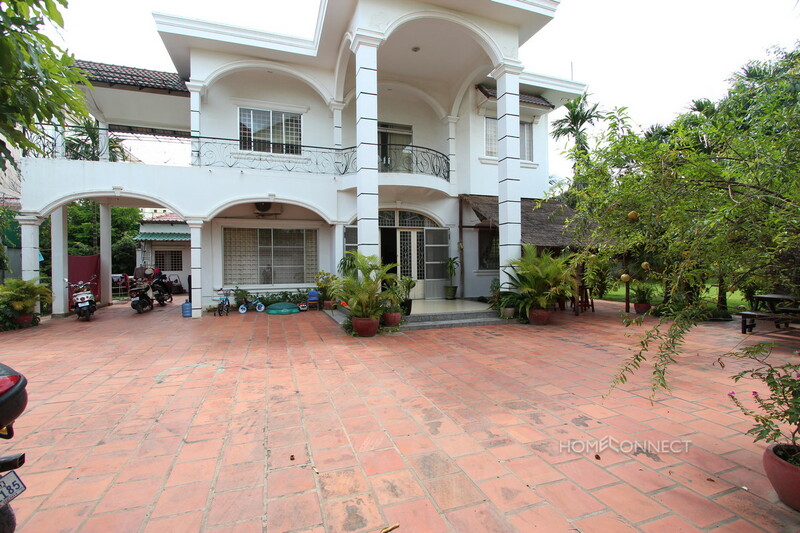 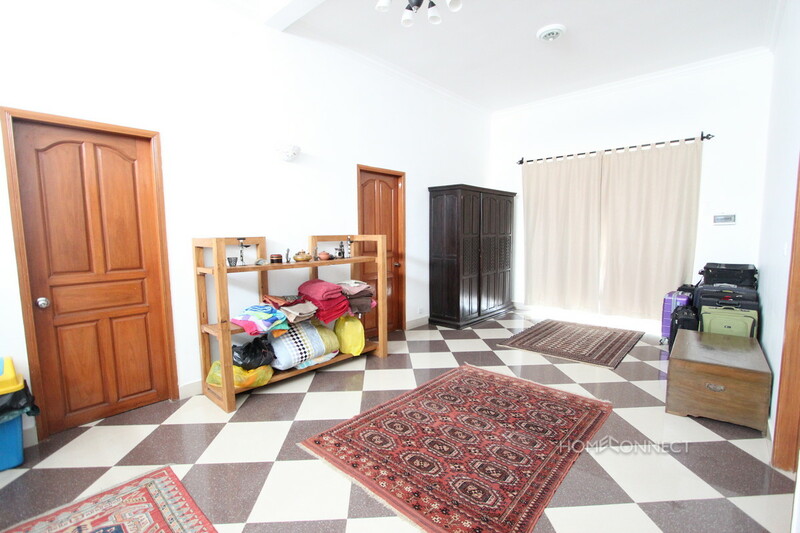 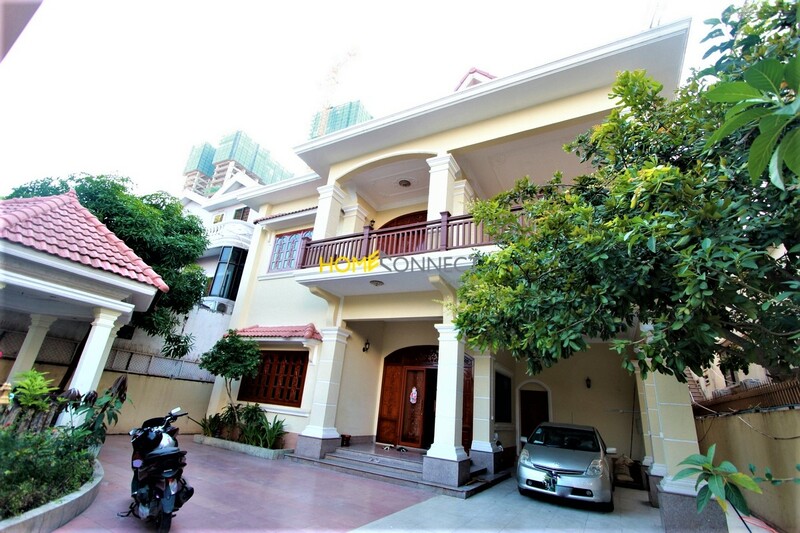 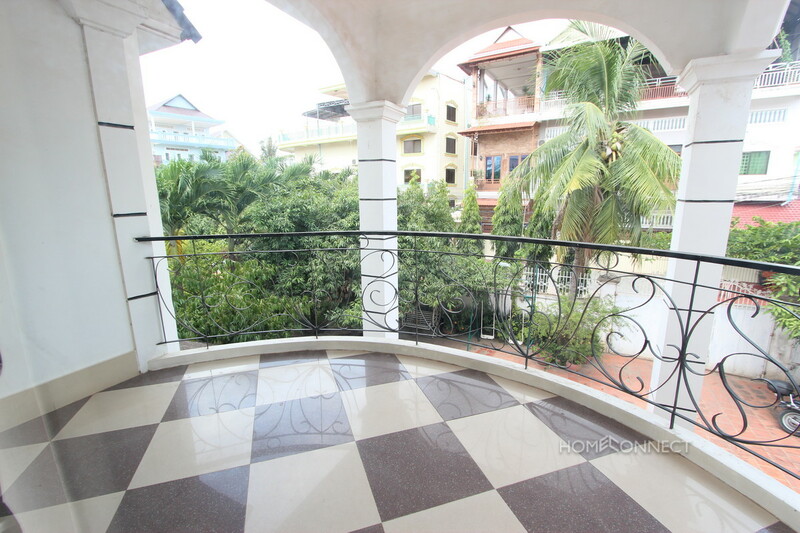 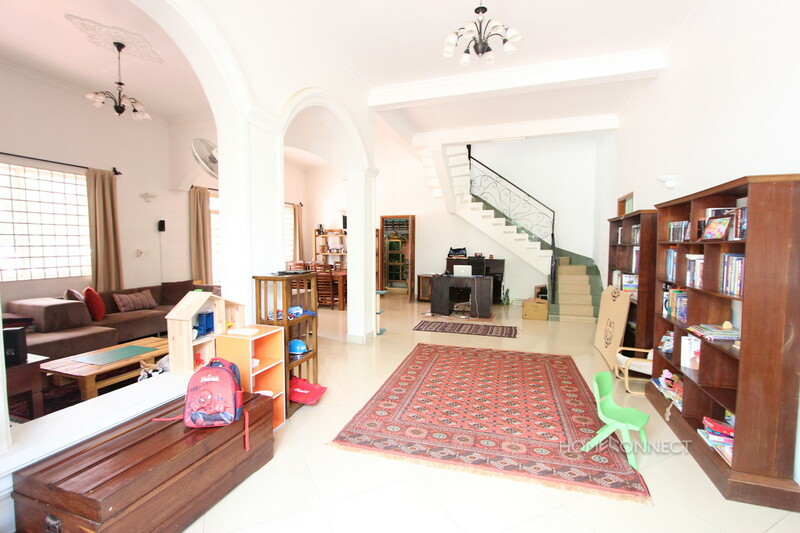 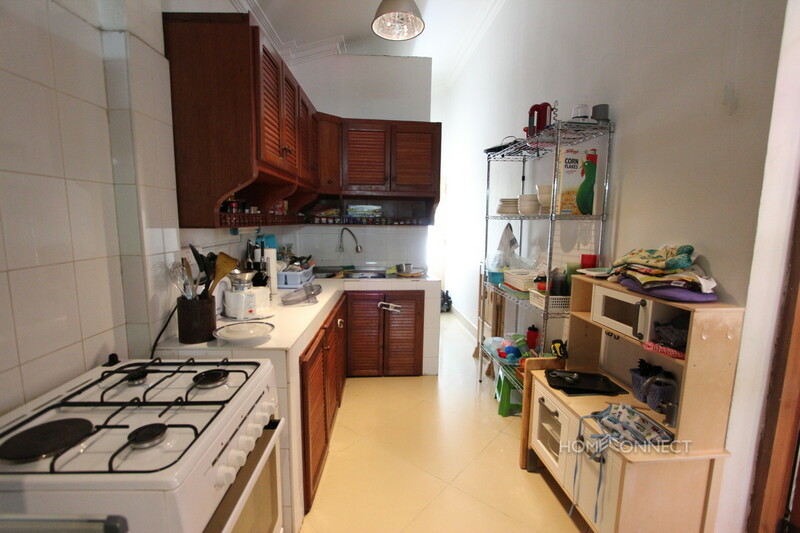 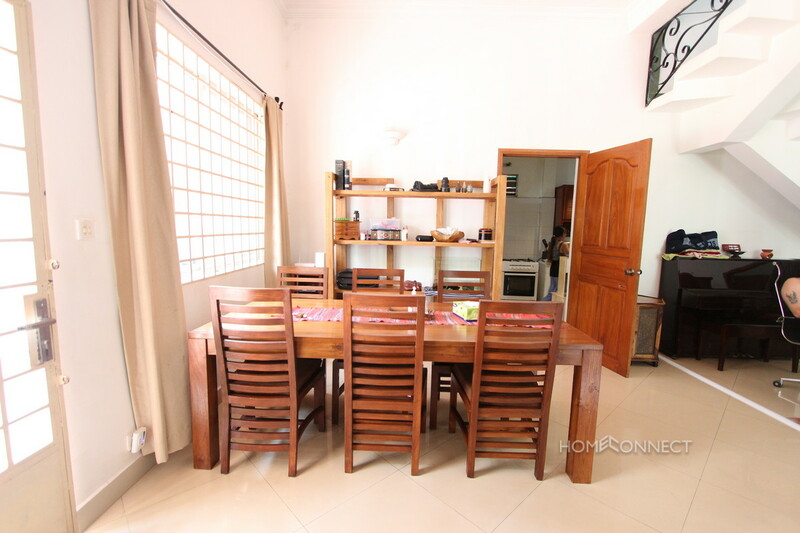 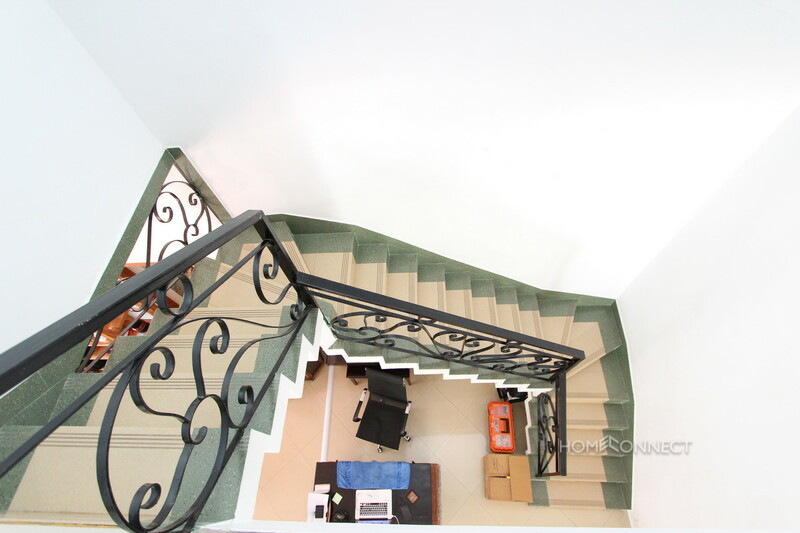 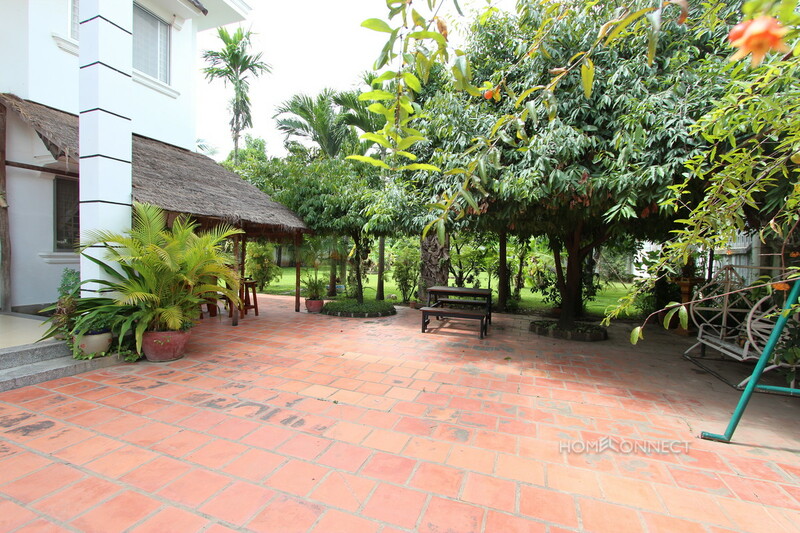 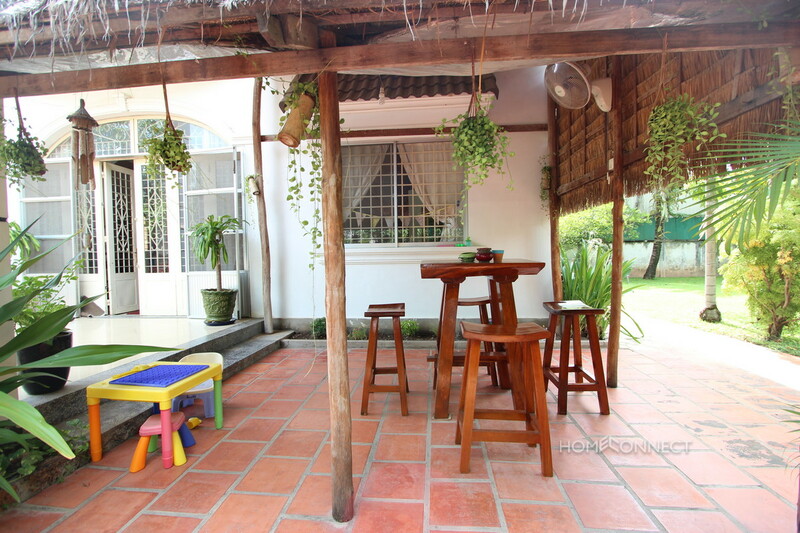 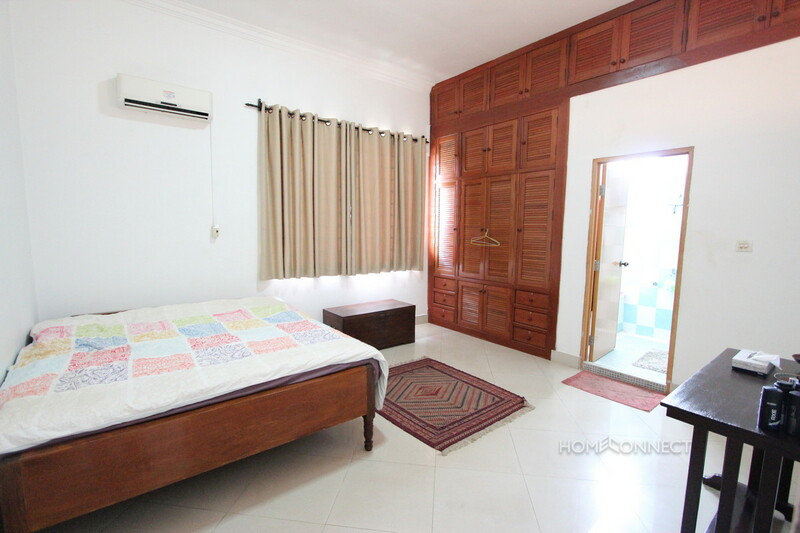 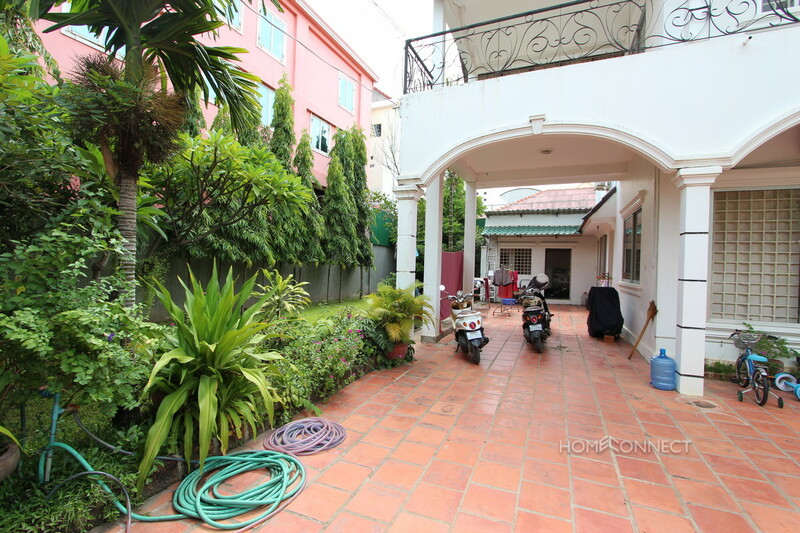 This six bedroom villa for rent near the famous Russian hospital in Phnom Penh offering great value for money and space perfect for a family home. 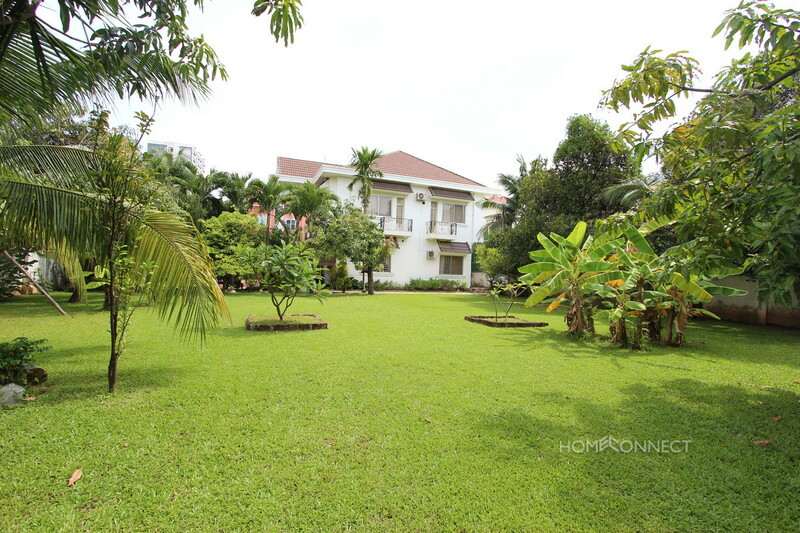 The main feature is the large mature private garden that allows for outdoor living. 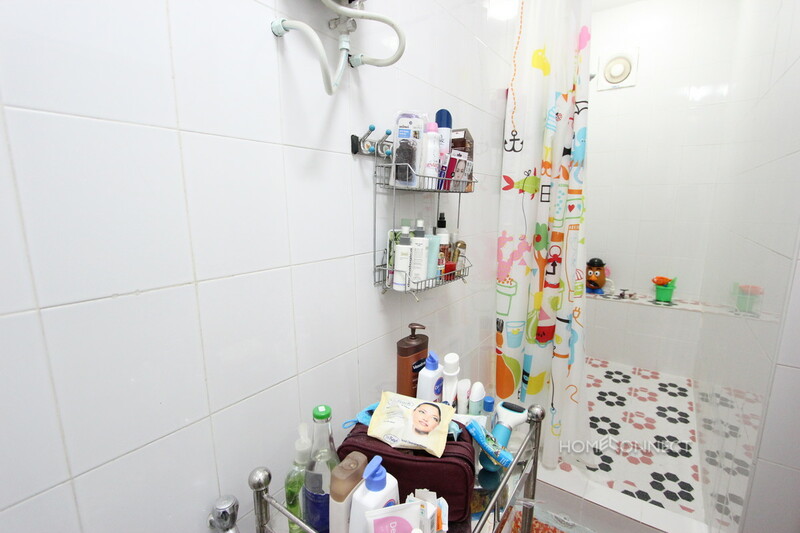 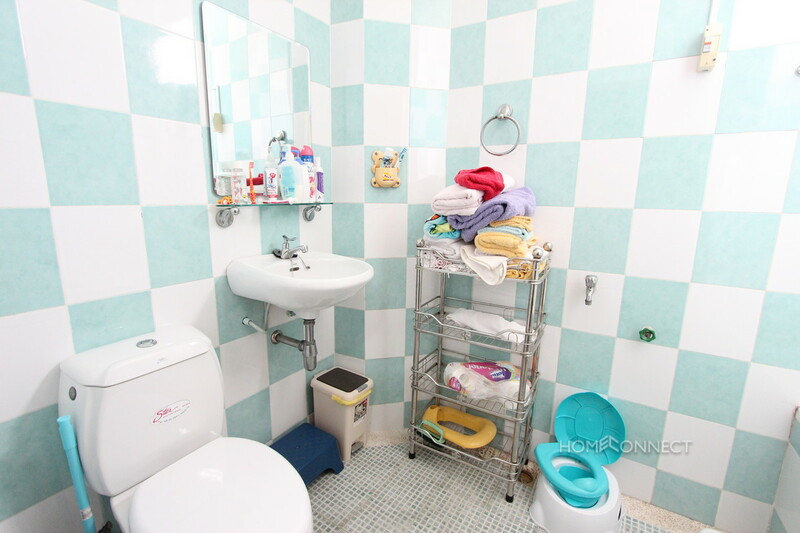 The property is bright and airy and comes non-furnished . 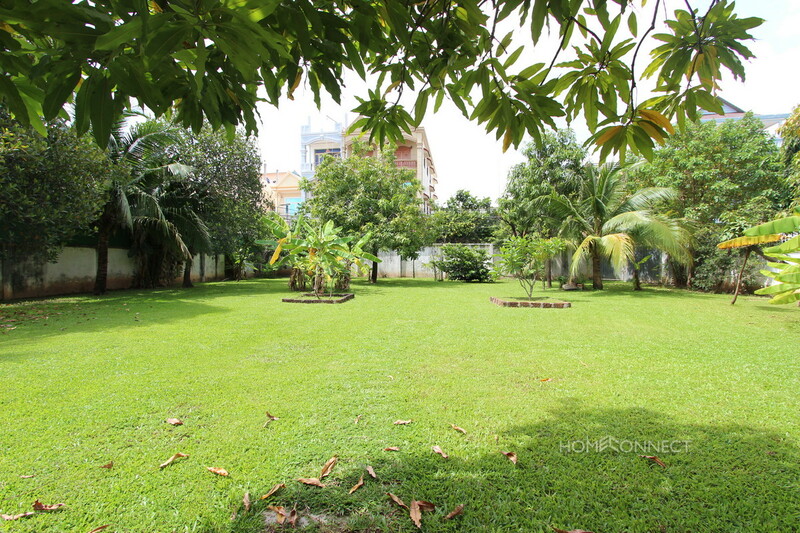 Close to Mao Tse Toung BLVD, Phnom Penh Sport, Club, Russian Market. 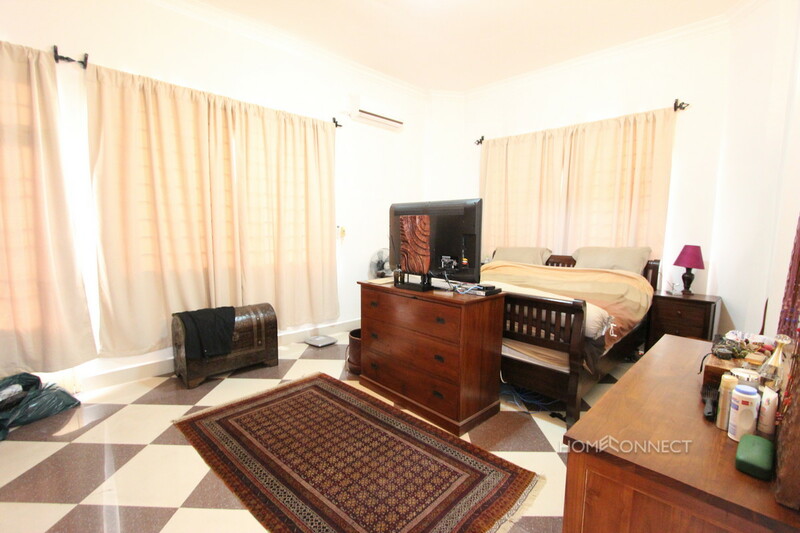 A private room for the maid / gardener.